Stylish Boardroom or Visitors chair. Large range of Fabric and Vinyl options available. Cantilever base in a Chrome finish. 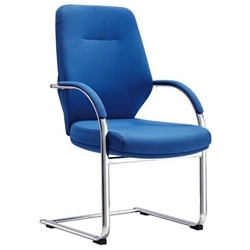 Matching Medium and High back Executive chairs also available.